Much as I do try to get a good deal from blog sales on and off, I usually do not purchase lip products for hygiene reasons. However, I have been tempted to try Lunasol lip products for a long while so when I saw it on sale on Sophia's blogsale, immediately I grabbed it! 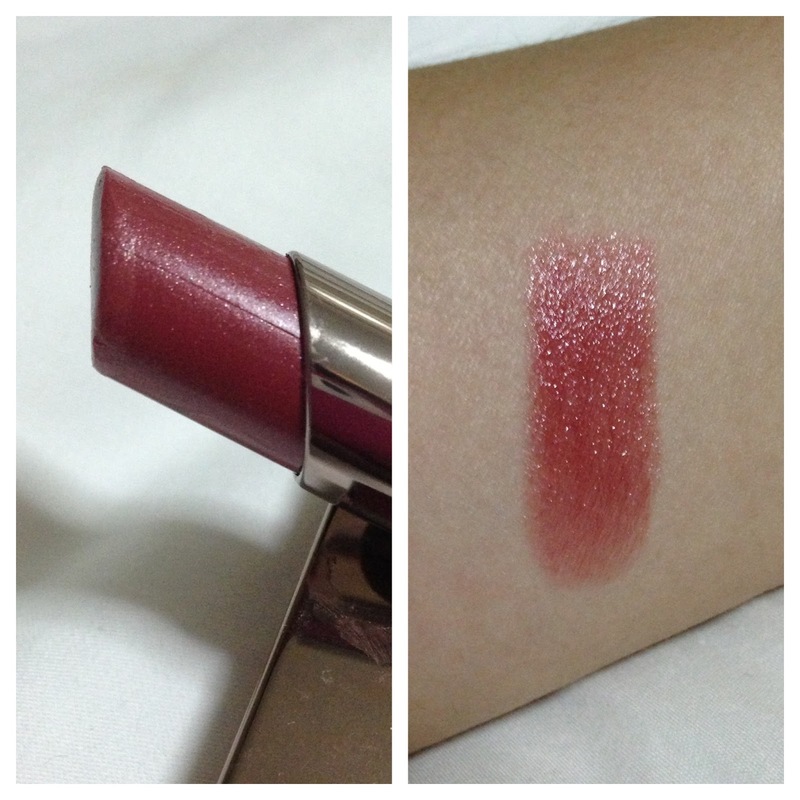 Lunasol Full Glamour Lips G in 40 Red Beige is a brownish red which is perfect for daily use. It instantly brighten up your look without causing much attention like a bright red lips. Upon close observation of the lipstick, there is slight gold shimmers in it which is not visible on the lips upon application. The texture is extremely smooth and soft. I have tried wearing it with and without a lip balm before application and it works just fine without applying a lip balm beforehand. I especially love the glossy shine of the lipstick, it just make your lips look so kissable, u know??? LOL. I do not have much red lipsticks and the closest I have in my stash is Burberry Lip Cover in Blush. 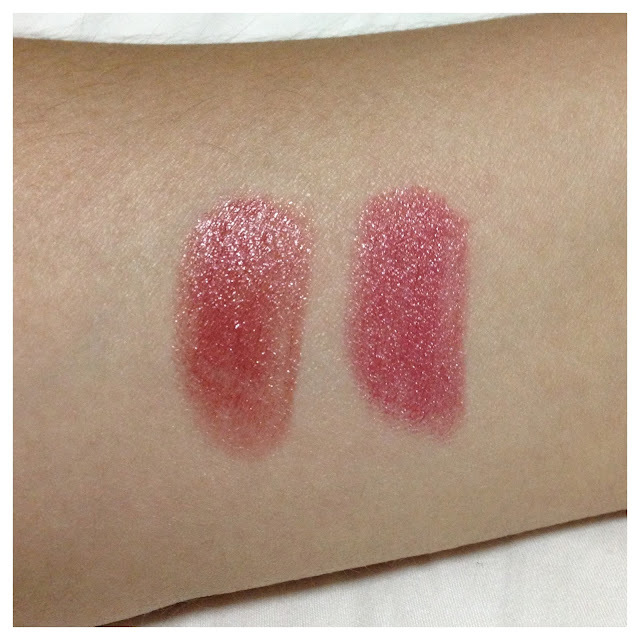 The swatch below shows the comparison side by side and you can see that Red Beige looks browner and also glossier in comparison. I am VERY satisfied with my great deal purchase and have been using it for a few days. The only improvement I can think of for the lipstick is the packaging. There isn't a click sound like in Chanel or Dior lipsticks so I tend to snap it harder so as to make sure that it is indeed snap tight. At the rate I am snapping the lipstick case, I hope it doesn't give way one day. haha. 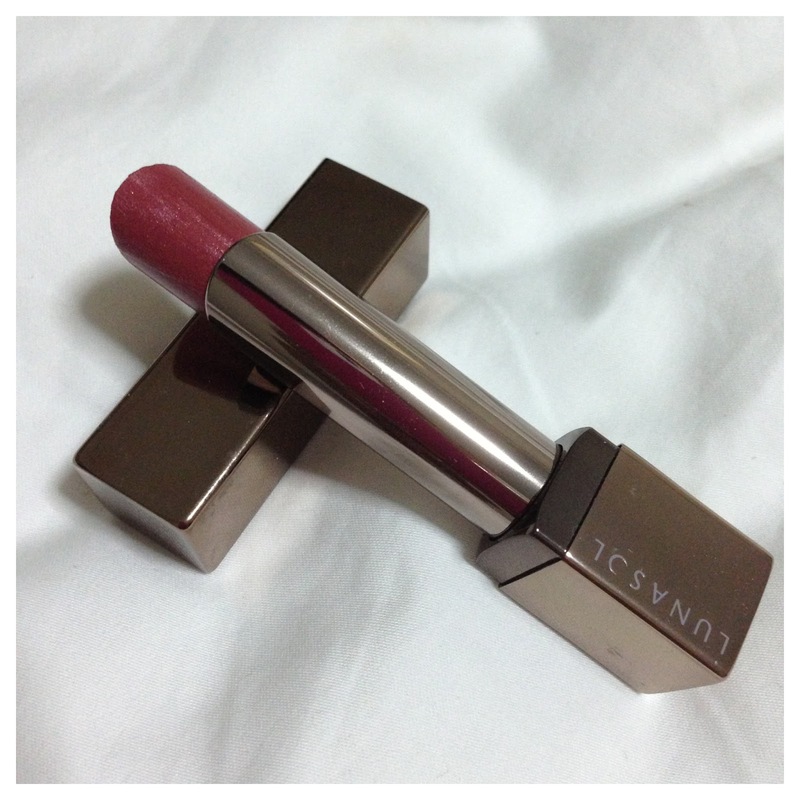 I love a good deal too Ruby :)This looks so emollient and moisturizing and I love the colour. I would love to see how it translates on your lips. Ahh Lunasol lipstick :):) I have never tried any of their lipstick but I'm glad that you like it! Their lipsticks seems to be more promising than eyeshadow palettes. I need to look into Lunasol when I'm back in Taipei this summer! Their eyeshadows are often too shimmery and light for me, but this lipstick looks like it's got some real potential! I agree with you, Sunny. Cant wait to see what items you will pick up from Lunasol.